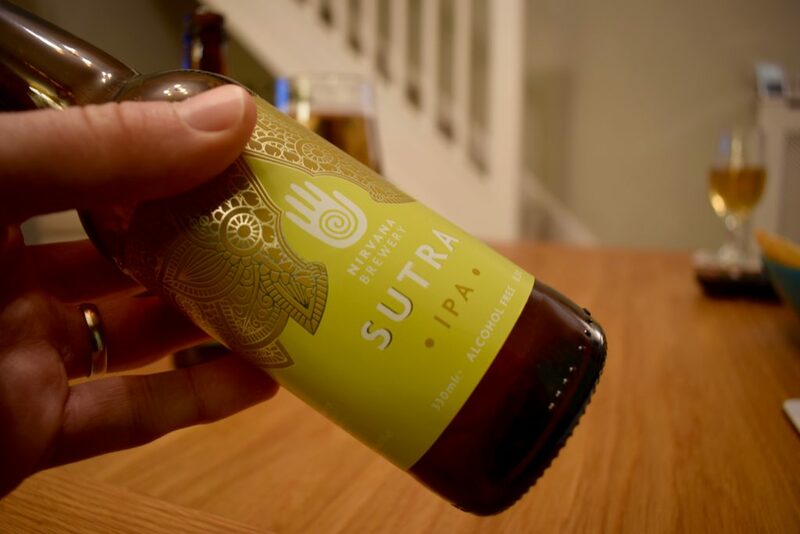 Originally, IPAs (India pale ales) were apparently brewed to a medium strength (6% or more) to survive the arduous journey from British Isles to the UK. Nowadays though, while many brewers are still producing IPAs to similar strength, there are quite a few brewing session IPAs too. 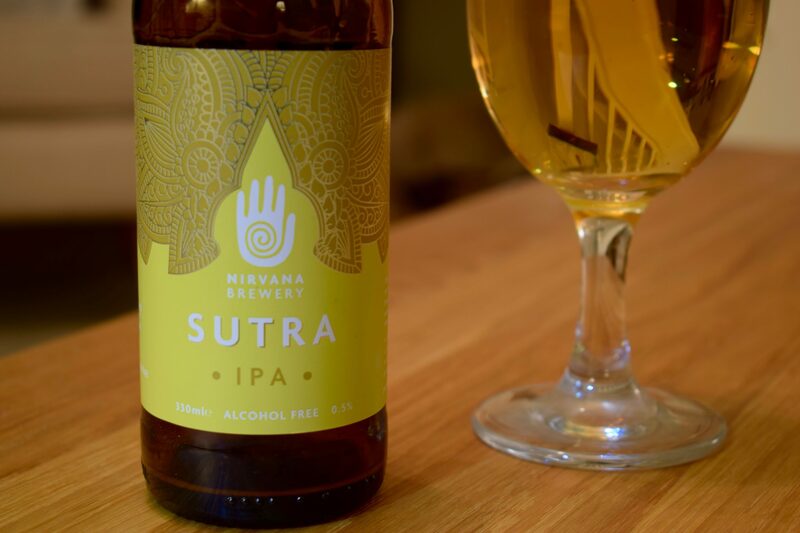 London brewery Nirvana has taken the concept of a low-strength IPA a step – well, several steps – further with “Sutra”. This ale breaks all the previous IPA rules at just 0.5% ABV – ironic seeing as sutra loosely translates to “rules” in Sanskrit literature. 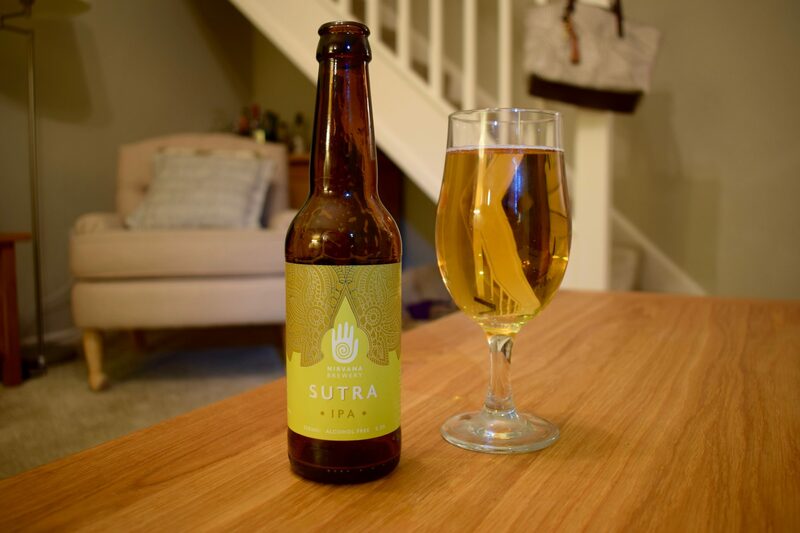 Sutra has a cracking aroma when you pop it open, with mango and grapefruit and a smidgen of floral hoppiness. It’s pretty lively straight from the bottle, but loses its head quickly with only a little lacing. It pours a clear golden colour. Sutra is quite watery, which makes it a thirst-quenching drink. However, its consistency means it gives itself away as a low-ABV beer before taste comes into play. 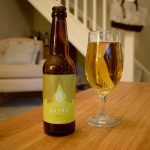 Which is a shame as there’s some good flavours there – peach, grapefruit and hops – complemented by a hint of bitterness. The finish is quite abrupt though. I also detected a minor chemical aftertaste. But this was oddly not unpleasant and not really a flaw. At just 0.5% ABV, this IPA wouldn’t have survived a long trip around the Cape of Good Hope. And it probably won’t survive long in your fridge either. That said, I much prefer Nirvana’s “Karma” pale ale – “Sutra” was a little too bland for me. Still, it’s way better than a soft drink and a great option as a low alcohol beer. And at just 33 calories a bottle, a great option as a healthy drink too.